It's grey and rainy this valentine's. 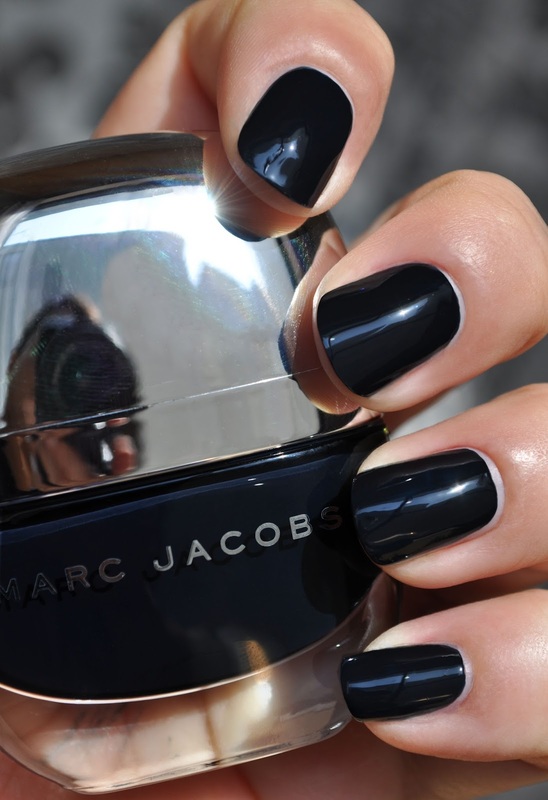 Therefore, in keeping with the ambiance (and the holiday), this year's V-day mani is Marc Jacobs' Midnight in Paris. I love the sleek design and heft of the bottle. 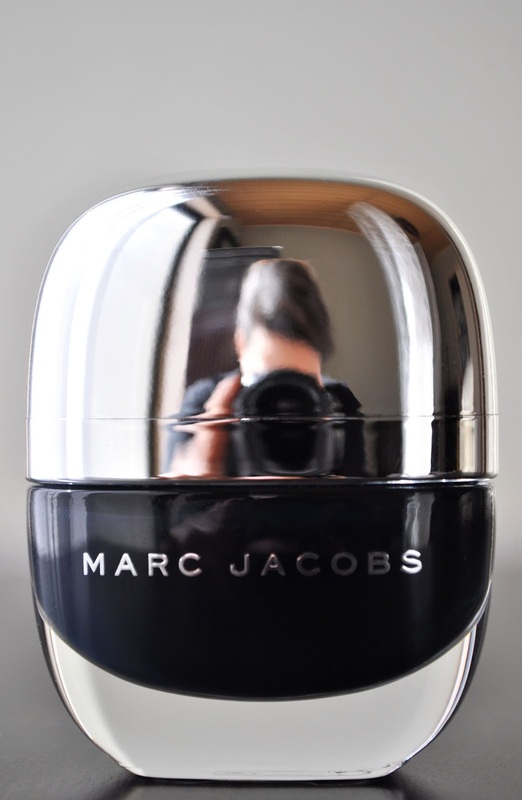 Midnight in Paris was my first Marc Jacobs Enamored Hi-Shine Nail Polish, and I was very impressed at how incredibly pigmented, and smooth, the formula was; the application was a breeze. 184 Midnight in Paris is a rich, blackened-indigo cream polish, with a superior shine. Extremely dark, it almost looks black, yet there's a gorgeous depth to the indigo that it gives an edgy-sophistication to the nails. Not only is the formula, the shade, and the finish great, but the performance is also top notch. I usually get a full seven days of flawless wear from Midnight in Paris. Although a limited edition shade from a year and some-odd months ago, Midnight in Paris is still available on marcjacobs.com. I'm the same, drives me crazy if I get s chip while I'm out and about.